Entrepreneurs and business leaders have told me that one of the biggest challenges they have in being an effective leader, is managing time. There is no doubt that time management is a key part of being successful. And, with all the books, technology, and systems for time management out there, you may be wondering: what are the best time management strategies to use. The answer to what is the best system to use is (drum roll please), there is no best system. The best system is the one that works for you. Thinking there is a “best” system is like thinking there is a “best” diet to help you lose weight. There is no “best” diet except the one that works for you. The best diet for you incorporates your lifestyle, what you like to eat, etc. The same is true with time management systems. In dieting there is a fundamental principal when it comes to losing weight. We all know what that principle is. To lose weight, you must eat less and exercise more. This principle, while simple,, requires effort to implement and consistently follow. In time management, there are five key ingredients to use or follow to be effective in making the best use of time. I have long said (and I got this from someone else) time management is not the main issue. Being clear on your goals is the main issue. Consider, that you will not have enough time in the day, week, month, or years to get everything done that you want to get done. There will always be something to do. Just getting present to the fact you can’t get it all done should be freeing in and of itself. So then, since you can’t get everything done, what is going to make the biggest difference for you, is getting clear in your mind what are the most important things for you. That starts with knowing what your goals are. Goal setting is a skill. To have great time management, you have to be great at goal setting. You set goals and then prioritize those goals based on what is important to you. When you set and plan goals, you create the action steps to complete the goal. These action steps become the basis of how your time will be used. You may be familiar with S.M.A.R.T.W.A.Y. criteria for goal setting and what type of goals that can be set. In addition, you need to know the goal planning process. Whether you know these things or not, I invite you to get my Winning Posture Goals Program. 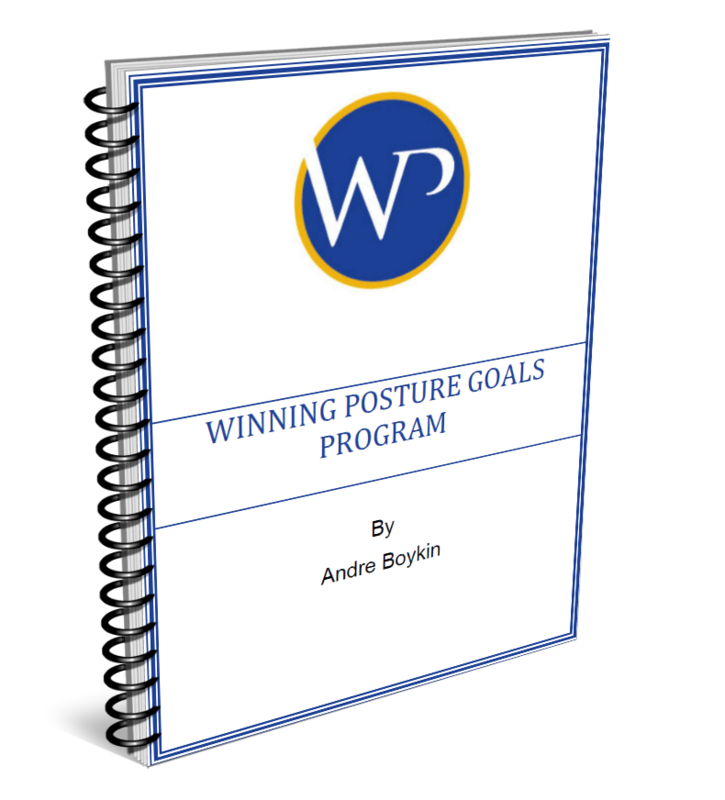 It is FREE, and you can get it here: Winning Posture Goals Program. No matter what system you use, it is imperative to have goal setting as a part of your time management system. There is an old saying: “it is better to have a short pencil than a long memory”. Taking notes is the second ingredient to managing time well. When you have meetings, conversations, messages, etc., you need to have a system to record notes about what was said. You especially need to record the “to do” items that come from these conversations and communications. Your recording system can be a notepad and pen. You could also use your phone to dictate your notes. You may prefer to type your notes in your computer or tablet. You can use any recording system that works for you. The key is to use only one system. By using one system, you don’t have notes scattered all over the place. Another aspect of your recording system is what you do with the notes. It is best to clear your recording system each day in your planning (more on planning later). The notes need to be filed. How you file could be by project, by person, by department, etc. You want to make sure that you can readily access notes when you need them. To do items from your notes should either go on your master to do list, or be put in your calendar. Your master to do list contains everything there is for you to do, both business and personal. Items that are on your to do list have not been entered into your calendar. You add to your master to do list every day. You also move items from your master to do list to your calendar every day. A to do item is deleted from your master to do list when you move it to your calendar. Just like your recording system, how you maintain your master to do list is based on your preference. You could use paper and pen or an electronic system. The how is not as important as taking the actions. Your calendar is very much like your road map for the day and is a key part of your time management strategy. Your calendar tells you what you have to do, where you need to be, and the amount of time required for each item. You can use a paper calendar or an electronic calendar. Items are entered into your calendar from two sources. The first source is your master to do list. The second source is direct entry into your calendar that by-passes your recording system and master to do list. For example, if you are in a meeting and the next meeting is scheduled, you can enter the next meeting directly in your calendar right then and there. You could also put the date in your recording tool and enter it into your calendar at the end of the day during your planning session (see ingredient five). Some points to keep in mind about your calendar. Be sure to schedule travel time, wait time, interruptions time, break time, etc. The afore mentioned items take time and if you don’t put that time in your calendar you will not achieve your plan for the day (and that’s no fun}. There will be times when you cannot do what you have planned in your calendar. The first or second time that you are not able to do something that you have scheduled on your calendar, move that item to another time. If you have moved the same item more than three times, have a straight conversation with yourself about what you are avoiding. You might discover there is something about getting that item complete that is an internal or external barrier for you. Another old saying you probably know is: “Prior Planning Prevents Poor Performance (Otherwise known as the five P’s; there is a six “P” version of this statement that I won’t mention because I run a G-rated program here. Lol). Anyway, the main thing to remember is planning is very critical to managing time. Planning allows you to think about the best way to accomplish something. The time you invest in planning will have a huge return. Plan consistently every day. A suggestion about the best time to plan, is to plan at the end of your business day for the next day. During this planning time you clear everything on your recording system for the day. You also update your master to do list, and put items in your calendar. It is also good to review your goals daily as well. So, there you have it. The five ingredients to time management. Use these ingredients each day, every day. Be consistent. When you do, you will find that you are engaged in what you are doing. You will be fulfilled in what you are doing. And, you will produce outstanding results. I provide executive coaching for entrepreneurs and business leaders who want to increase their leadership effectiveness and results. Contact me at (954) 666-0259 for a no-obligation session on what could be possible for you. ​Achieve desired results with a focused goal setting and achievement program. Also I included some valuable tips on time management!